How are collections processed and presented in regards to race and ethnicity? What is not collected and why? Who gets to say what is worth collecting? Operating from three distinct but interlocking perspectives, we will discuss our experiences navigating collection development and collection development policies as a Black woman archivist, a White woman anti-racist public librarian, and a Black woman academic librarian. We will look at the ways in which Black women as collections professionals face invisibility, coded language, and increased mental and emotional labor while operating in a profession that is 85.2% White. We will offer practical strategies for developing an anti-racist agenda at your institution, specifically how to be an agent of change at the administrative level. We will also discuss how anti-racist accomplices can both support and follow the lead of Black women librarians and archivists as well as strategies for developing anti-racist collection development practices. Conner-Gaten, Aisha, Tracy Drake, and Kristyn Caragher. 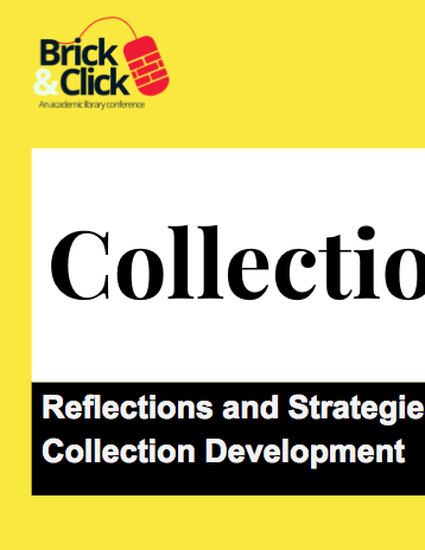 “Collections De-coded: Reflections and Strategies for Anti-Racist Collection Development.” Brick and Click: an academic library conference, 3 November 2017, Northwest Missouri State University, Maryville, MO. Active learning presentation.